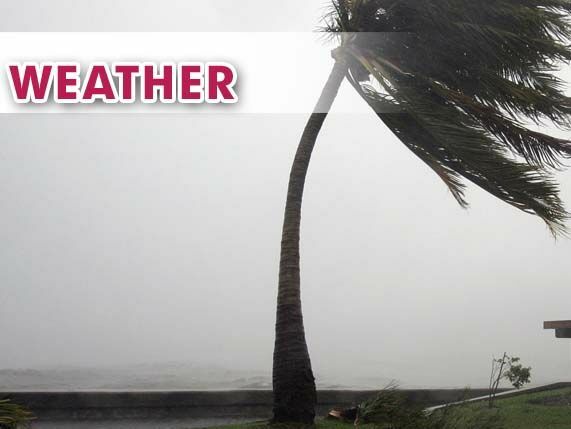 HARLINGEN — Weather forecasters issued warnings this morning about sea and beach conditions following the cold front which swept through South Texas on Sunday. A warning for a high risk of rip currents along gulf beaches in coastal Cameron and Willacy counties has been issued from now until 7 p.m.
“Rip currents will be hazardous to even experienced swimmers given the high, rough and confused surf,” National Weather Service forecasters in Brownsville say. In addition, a gale warning has been issued for offshore gulf waters today through 7 p.m., with winds of 25 to 35 knots and swells setting in from the north as high as nine to 11 feet. A small craft advisory has been issued for the Laguna Madre and gulf waters until noon today.